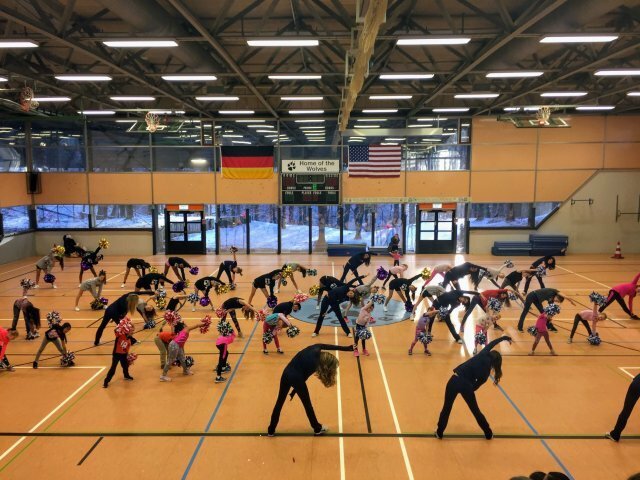 The Denver Bronco Cheerleaders lead future cheerleaders in stretching exercises. 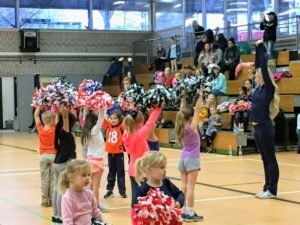 Present and future garrison community cheerleaders learn a pom-pom drill in the Patch Middle School gym, Jan. 29. 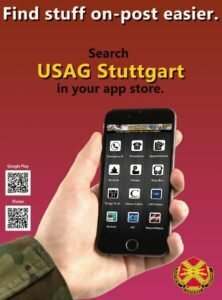 This was the first time the team has visited Stuttgart, and third stop on their tour through Germany which concludes Feb. 4 at Büchel Air Base. 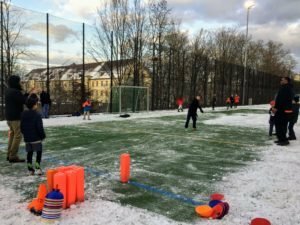 Future football players learn skills from Denver Broncos alumni on a frozen Patch gridiron, Jan. 29.